Earth Power | Zonyxa. 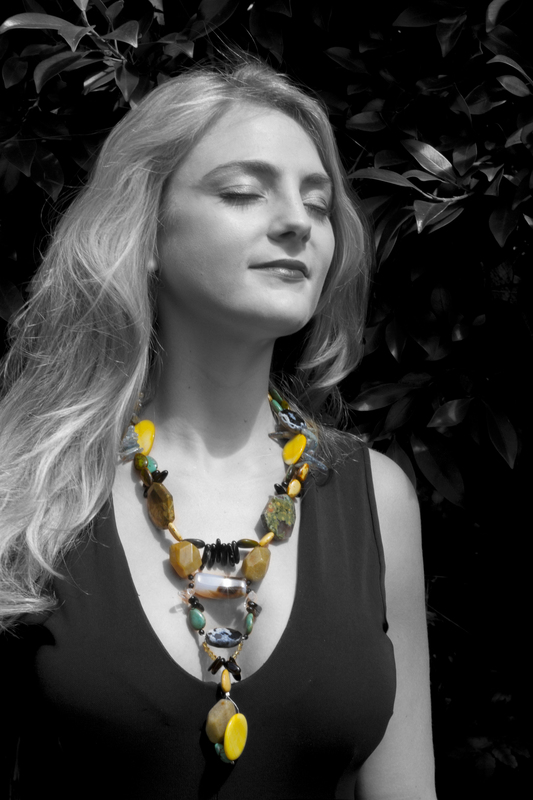 Unique and contemporary jewellery for Work. Love. Play. 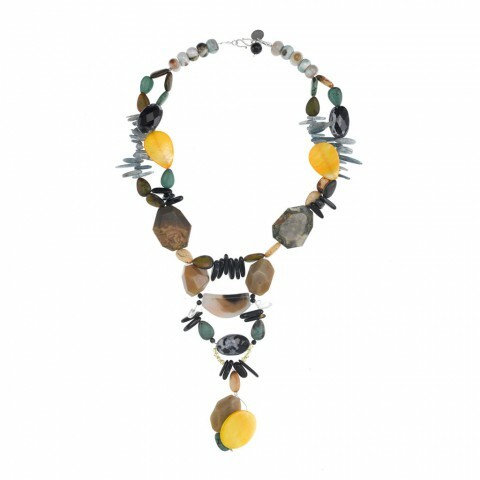 Unquestionably a statement piece, this stunning ensemble comprises strong earthy stones and bright yellow seashells in variety of beguiling shapes, spiced up with sparkly Swarovski crystal beads. Showcase this long length piece against a long summer dress or simple camisole. Materials: Labradorite, aventurine, howlite, coloured seashell, black agate, cobra agate, rhyolite, crystal and Swarovski crystal beads necklace.